Astronomer Giovanni Cassini is associated with a number of scientific discoveries and projects, including the first observations of Saturn's moons. For this reason, the Cassini spacecraft that launched in 1997 and plunged into the planet in 2017 was named after him..
Born on June 8, 1625, in Perinaldo, Republic of Genoa (now Italy), he was given the name Giovanni Domenico by his parents, Jacopo Cassini and Julia Crovesi. 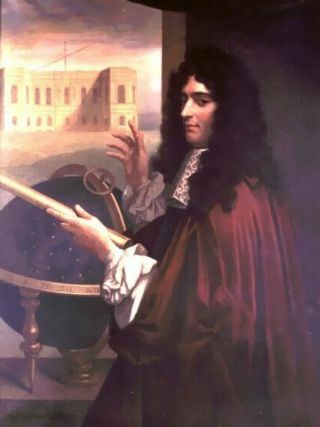 However he also used the name Gian Domenico Cassini, and after he moved to France as an adult, he changed his name to the French version — Jean-Dominique Cassini. To add to the perplexity, he was the first of the well-known Cassini family of astronomers and is sometimes referred to as Cassini I. He was primarily raised by his mother's brother. After spending two years being educated at Vallebone, Cassini entered the Jesuit College at Genoa, where he studied under Casselli. After this, he studied at the abbey of San Fructuoso. In his youth, he showed a keen interest in math, astrology and poetry. His extensive knowledge of astrology led to his first appointment as an astronomer. Later in life, he focused almost exclusively on astronomy and became increasingly involved in the Scientific Revolution during the early modern period. Cassini was an astronomer at the Panzano Observatory from 1648 to 1669. He also served as a professor of astronomy at the University of Bologna. However, his work as the director of the Paris Observatory had arguably the greatest impact on the scientific world. Cassini moved to France in 1669 and through a grant from Louis XIV of France helped to set up the Paris Observatory, which opened in 1671. He enthusiastically adopted his new country, adapting his name to the French language and becoming a citizen in 1673. Astronomy wasn't the only science Cassini was involved in. According to a biography of Cassini by the University of St. Andrews, "He was an expert in hydraulics and engineering and as such was consulted regarding the dispute of 1657 between Bologna and Ferrara on the course of the River Reno. The dispute was settled by Pope Alexander VII with advice from Cassini and for several years after this he was regularly consulted by the Papal Court as an expert on river management." In 1672, Cassini's colleague Jean Richer went to Cayenne, French Guiana, while Cassini stayed in Paris so that the two could make simultaneous observations of Mars and, by computing the parallax, determined its distance from Earth. This allowed for the first estimation of the dimensions of the solar system. Using a method outlined by Galileo, Cassini was also the first to make successful measurements of longitude. One of his first applications of his longitude determinations was used to measure the size of France accurately, and the country turned out to be significantly smaller than first believed. Other accomplishments of Cassini include being the first to observe four of Saturn's moons — Iapetus (1671), Rhea (1672), Tethys (1684) and Dione (1684) — which he called Sidera Lodoicea, or Louisian Stars, after the French king. Iapetus had variations in brightness, which he accurately ascribed to the presence of dark material on one hemisphere, which is now called Cassini Regio in his honor. In addition, he discovered the Cassini Division in the rings of Saturn in 1675. He shares with Robert Hooke credit for the discovery of the Great Red Spot on Jupiter, circa 1665. Around 1690, Cassini was the first to observe differential rotation within Jupiter's atmosphere. Astronomy was a family business. In the 1670s, Cassini began creating a topographic map of France, using Gemma Frisius' technique of triangulation. The project was continued by his son Jacques Cassini and ultimately completed by his grandson César-François Cassini de Thury and published as the Carte de Cassini. According to the online Messier Catalog, "Cassini was the founder of a dynasty of four astronomers in Paris." His son, grandson, and great-grandson all followed him as directors of the Paris Observatory, as well as completing Cassini's map. Jacques Cassini gradually took over his father's duties as head of the Paris Observatory. The elder Cassini's health and eyesight began to deteriorate in 1709, and by 1711 he was almost completely blind. He died in Paris on Sept. 14, 1712. But his name has been long associated with space exploration. Beginning in 2004, the Cassini orbiter studied Saturn and its many natural satellites. Cassini was the fourth space probe to visit Saturn and the first to enter orbit. On Sept. 15, 2017 — 305 years and one day after the scientist Cassini's death — NASA deliberately crashed Cassiniinto Saturn to avoid future contamination of the potentially habitable moons in the planet's system. There are also several craters name for Cassini, including an impact crater on Earth's moon located in the Palus Nebularum, and a crater on Mars.